The world is filled with iconic sites that fill up the pages of travel brochures and are the centre of travel photos on social media. They aren’t the main reason we travel to a certain destination, but for first time visitors they are definitely on the list of things to see! 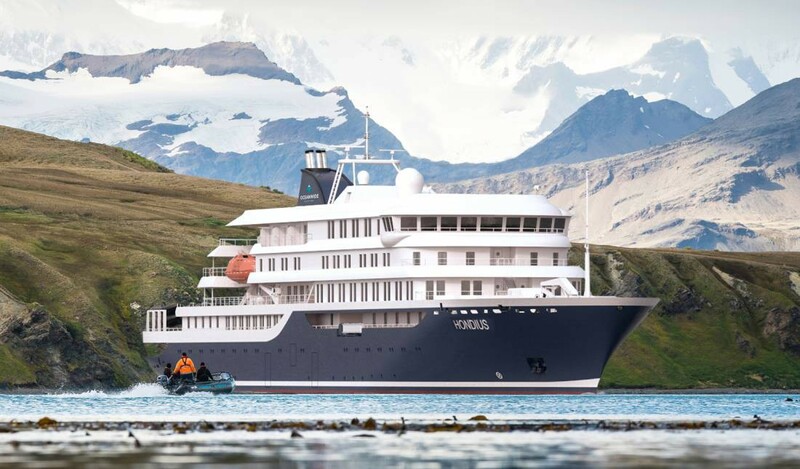 Some may leave you underwhelmed thinking you weren’t sure what all the fuss was about – however, there are plenty that leave you in awe, mouth opened and soaking in every moment to make sure you will never forget seeing such an incredible icon in real life. In our office, we’ve seen plenty of iconic sites all over the world. So, we’ve each nominated our favourite and why we think it should be on your travel bucket list. We’ve also popped a Peregrine and Intrepid trip below each one that will help you see these icons up close. Whether you choose to trek the iconic Inca Trail or take the train and embark on the shorter route, the prize at the end will leave you speechless! 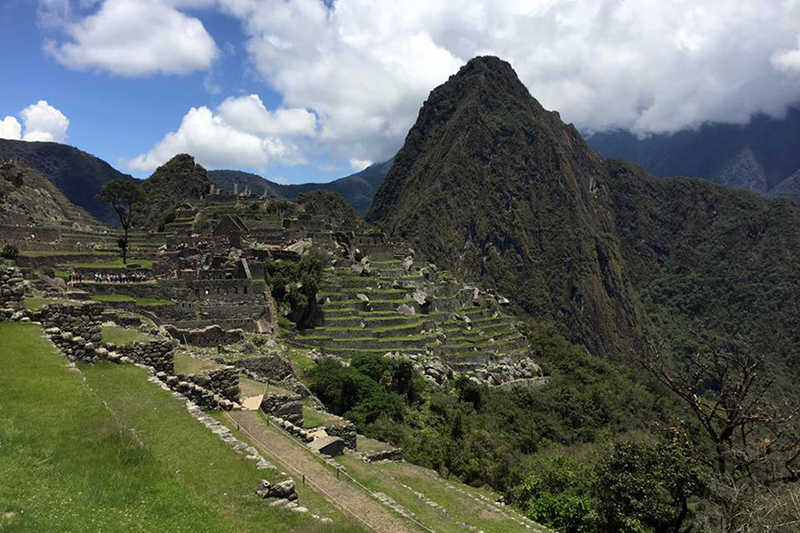 The Inca City of Machu Picchu is in the Cusco region of Peru and the sheer size and incredible views of the site will astound you. Take a guided tour through the ruins, meet the friendly llamas strolling the paths (they’re always keen for a selfie with a tourist) and take in the serenity of this iconic site. Visit Machu Picchu and explore the rest of Peru on Intrepid’s 15 day Ultimate Peru trip, Peregrine also have an immersive Peru trip, their 10 day Best of Peru. If you’d like to know more about Inca Trail trekking trips, contact us. India’s most famous icon will exceed all your expectations! Built by Emperor Shah Jahan as a tomb for his second wife, the dramatic ivory-white mausoleum is a UNESCO World Heritage listed site that is simply stunning. We recommend an early start to catch a glimpse of the sun rising behind this masterpiece (and to try and avoid the crowds). 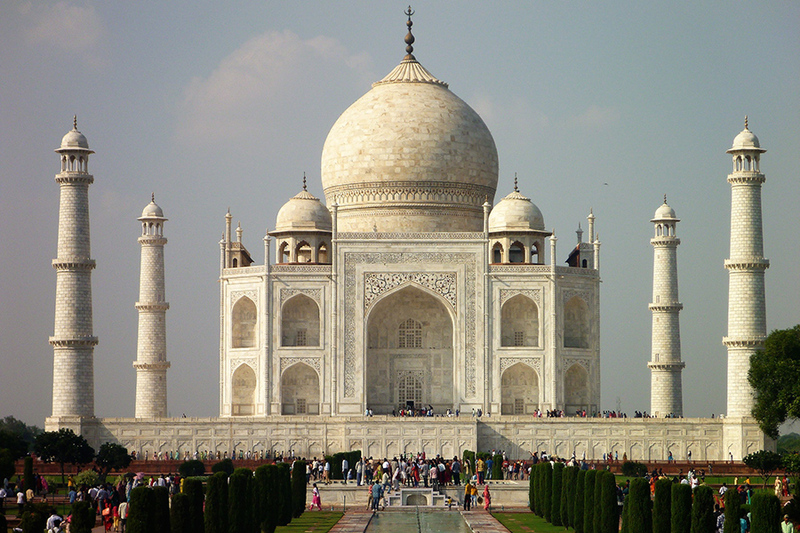 Visit the Taj Mahal on Intrepid’s 16 day Real Rajasthan tour or on Perergine’s 25 day Wonders of India trip. Situated in northern Botswana, the Okavango Delta is a unique wetland that is home to thousands of animals, making it one of Africa’s greatest concentrations of wildlife. 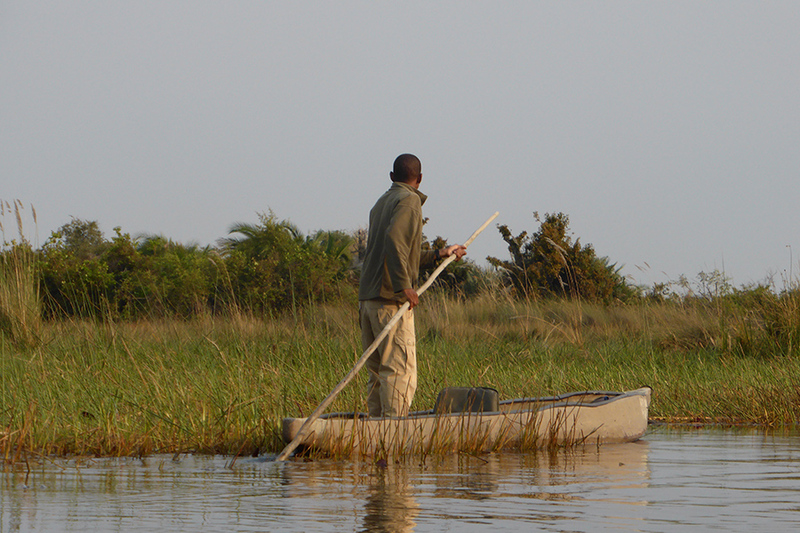 Take a ride down the river on a mokoro (a dug-out canoe) and keep an eye out for elephants, antelopes, warthogs and other creatures along the river banks. Game drives will give visitors the chance to see 4 of the Big Five here as well as an abundance of other wildlife. It is truly a special and unique part of Africa and whether it is your first trip to Africa, or you are returning, it will leave you wanting more. Take in the wonders of Botswana on Intrepid’s 9 day Botswana Highlights or Peregrine’s 8 day Classic Botswana trip. Nestled in between a modern city lies an ancient monument that will take your breath away. The Colosseum in Rome is the largest amphitheatre ever built, able to hold an average of 65,000 people to watch gladiatorial battles and other public events. Completed in AD80, the Colosseum is now partially ruined from earthquakes, but what remains is an iconic attraction in Rome. It’s worth paying the entrance fee to enter the Colosseum and either an audio tour or guided tour is a great way to learn all about the history of this New 7 Wonder of the World. There’s something magical about the mix of modern and ancient sites in Rome, you can be walking down a typical street and then turn a corner and all of a sudden the spectacular Colosseum is right there! 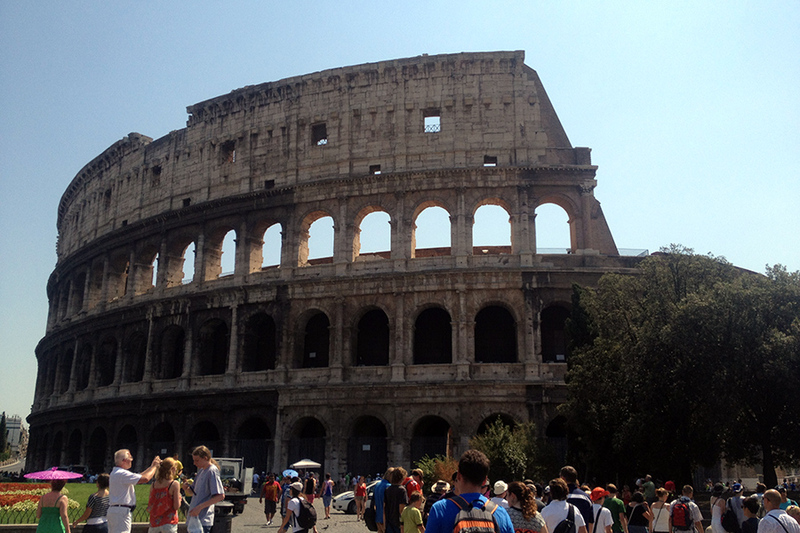 You can see the Colosseum on the Intrepid 8 day Rome to Amalfi trip or on the Peregrine 10 day Secrets of Italy trip. There’s nothing quite like getting up close and personal to a family of Mountain Gorillas in the misty jungles of Rwanda. The trek can be difficult, but the end reward is priceless. As you sit and wait quietly for these amazing endangered creatures to emerge, you will be in awe as they step out and sometimes come a mere few metres away from you. Offering incredible photo opportunities and an immense sense of serenity being in the gorilla’s natural habitat. Rwanda has come a long way from its tragic past and on either of the Intrepid or Peregrine small group experiences you will have the opportunity to stay in a small Rwandan town and meet some of the friendly locals as well. 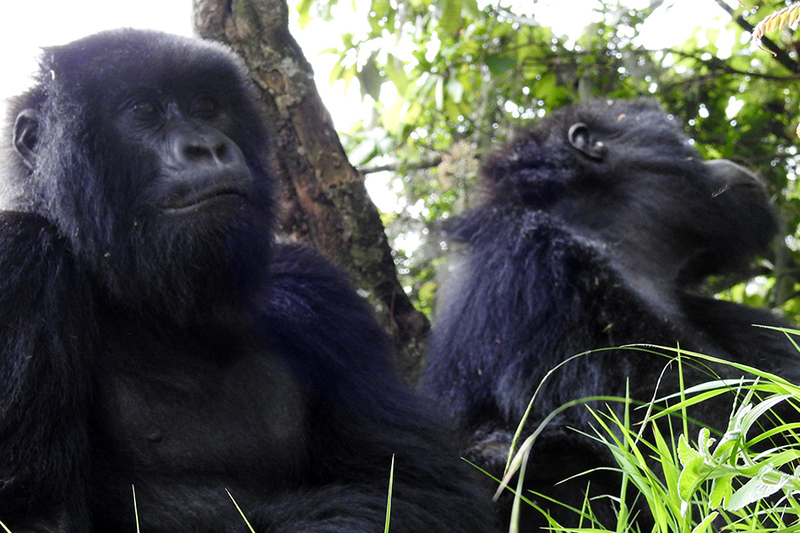 You can come face to face with Mountain Gorillas on Intrepid’s 4-day Mountain Gorillas of Rwanda trip or Peregrine’s 4-day Mountain Gorillas of Rwanda Experience – Independent, both great additions to your African itinerary. Persepolis in Iran was once the centre of the Persian Empire and considered as one of the greatest cities of the ancient world, and as an official UNESCO World Heritage Site, it did not disappoint. Constructed over a 150-year period, the complex of palaces, gateways, intricate carvings, tombs and towering columns tells the story of an incredible history and the remaining ruins leave no doubt that this was in fact a remarkable ancient city. A truly amazing site to witness, in a fascinating country that offers so much to travellers. 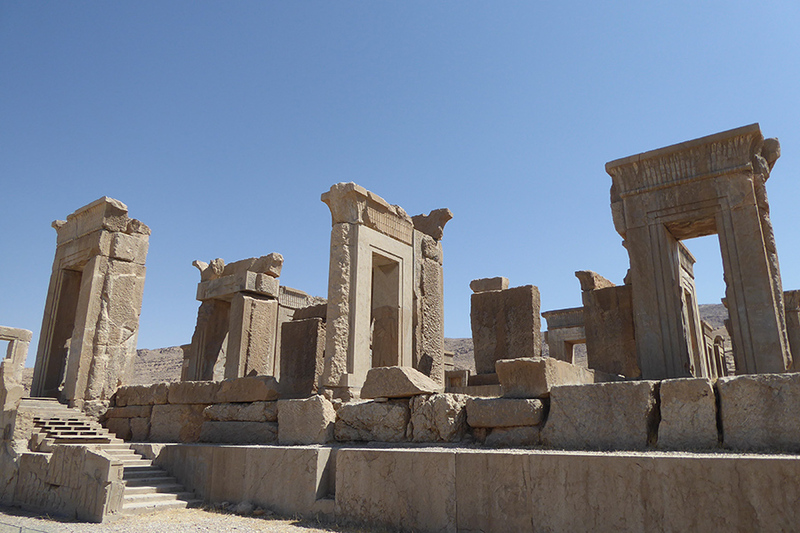 You can visit Persepolis on Intrepid’s 14 day Iran Adventure or on Peregrine’s 13 day Ancient Persia In Depth trip. Petra is an incredible archaeological city in Jordan, only known to the Western world from 1812. It is a UNESCO World Heritage site, with ‘The Treasury’ being the most iconic temple carved into a rock. 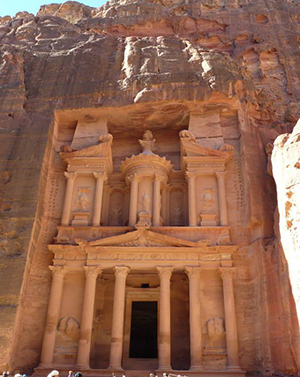 However, there is so much more to the city of Petra that just ‘The Treasury’. Visitors can walk through the Siq, a mile-long narrow path which is the main entrance to the city, they can explore the old Roman road, temples, old tombs, an amphitheatre and for those who like a challenge, walking up the steps to the Monastery is such a rewarding experience! Spend time in the incredible city of Petra on this 8 day Explore Jordan tour with Intrepid or combine both the wonders of Jordan & Egypt on Peregrine’s 16 day Classical Egypt & Jordan trip. If you’d like to know more about visiting any of the places mentioned in this blog post, contact us on 08 8223 5905 or via our website. All images taken by Peregrine Travel Centre SA team members.